We are really proud to support Volunteers' Week each year and really grateful to all our volunteers for the additional support they give to our customers. Julian is originally from Gelsenkirchen in Germany. 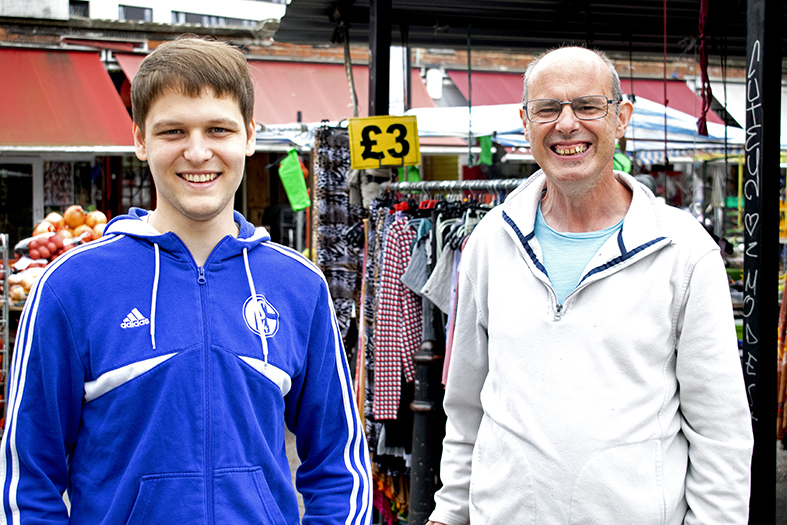 He has been volunteering with Tony in Hackney for six months. He said "I really enjoy spending time with Tony and the other customers. Tony knows a lot of people locally. We're regular visitors to Jack's Cafe in Dalston. It's nice for us both to be so warmly welcomed there by Jack and Esther. Tony and I play pool together in the same place every week - Tony usually wins! I also enjoy spending time with the other volunteers at Advance. We have a shared community spirit." Tony commented "Julian is a really good volunteer. I don't worry about anything when we're together." Follow this link for more information about volunteering opportunities at Advance.